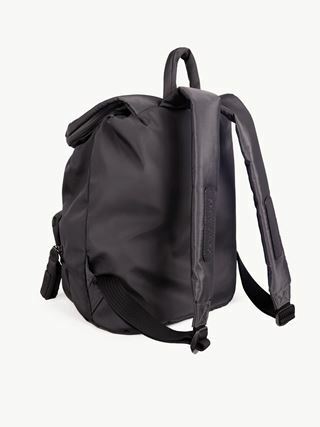 Joy Rider backpack in in textured nylon. 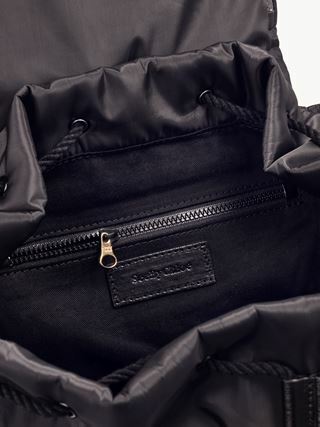 The round, feminine shape features multiple pockets. Includes a detachable star key ring in golden brass and tonal rubber.